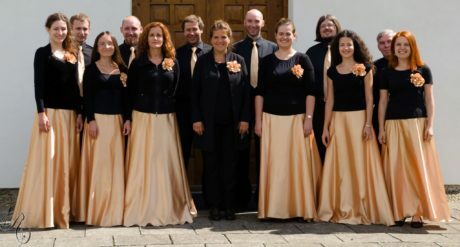 Veni, Sancte Spiritus will be premiered by Schola cantorum, The International Baroque Orchestra of Hallgrímskirkja, Hildigunni Einarsdóttir og Benedikt Kristjánssyni, conducted by Hörður Áskelsson, on the 10th of June, at the Festival of Sacred Arts at Hallgrímskirkja, Reykjavík, Iceland. 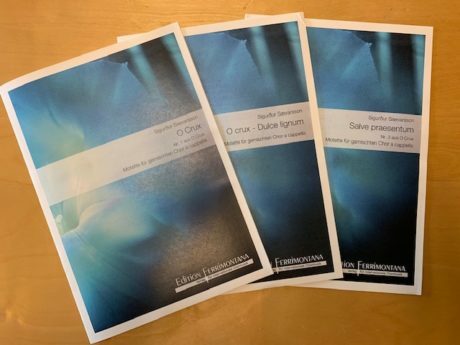 O crux has now been published by Edition Ferrimontana. 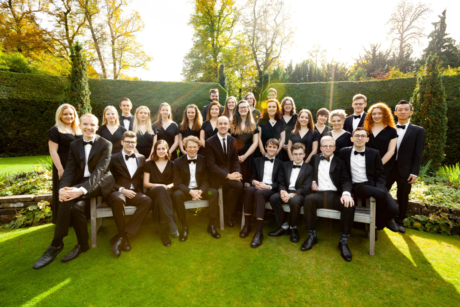 Magnificat will be performed by the Alumni of the Choir of Clare College, Cambridge, conducted by Graham Ross, on the 13th of April in Hallgrímskirkja, Reykjavík, Iceland and on the 26th at Wiltshire Music Center, Wiltshire, UK. 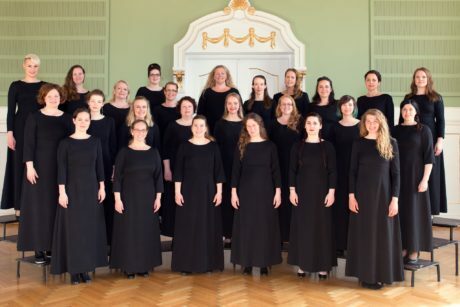 O sacrum convivium & Ave Maria, will be premiered by Hymnodia Chamber Choir, conducted by Eyþór Ingi Jónsson, on the 4th of April, in Akureyrarkirkja, Akureyri, Iceland. 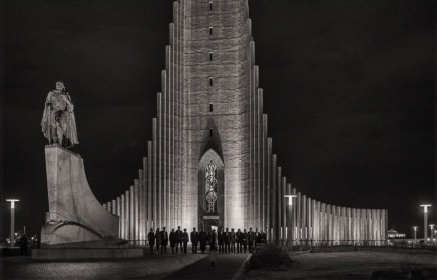 Ave verum corpus will be premiered by Schola cantorum, conducted by Hörður Áskelsson, on the 27th of January 2019, in Hallgrímskirkja, Reykjavík, Iceland. 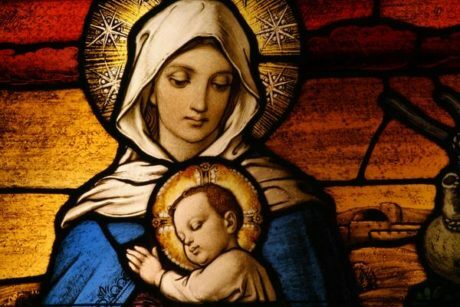 Magnificat will be performed by sirventes berlin, conducted by Stefan Schuck, on the 22nd of December at Kirche Am Hohenzollernplatz, Berlin, Germany. 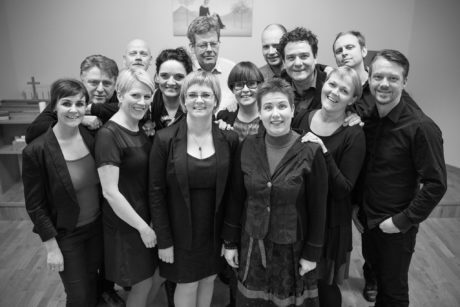 Dormi, Jesu will be premiered by Schola Cantorum, conducted by Hörður Áskelsson, on the 21st of December at Hallgrímskirkja, Reykjavík, Iceland. 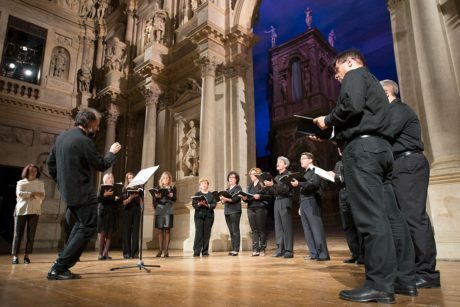 O magnum mysterium will be performed by Schola Vincentiana, conducted by Filippo Furlan, on the 16th of December at Chiesa San Vincenzo Martire, Vicenza, Italy. 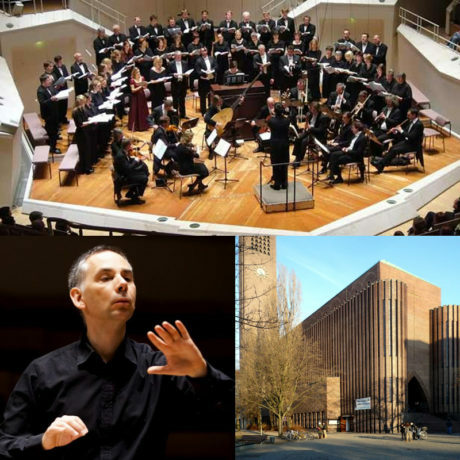 Christmas Oratorio will be performed by Hugo Distler Choir Berlin, Streichorchester der UDK, Judith Rautenberg, Mezzo-Sopran, Nicolaus Boulanger, Bariton, conducted by Stefan Schuck, on the 15th of December at Kirche Am Hohenzollernplatz, Berlin, Germany. 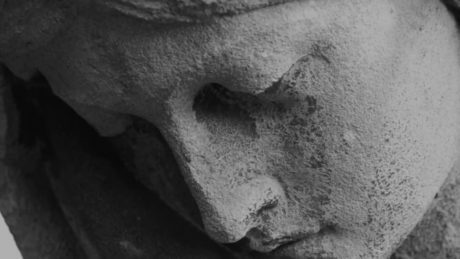 Diliges Dominum will be performed by Lege Artis, conducted by Agnieszka Trela – Jochymek, on the 8th of December at Bazylika Św. Floriana, Kraków, Poland. 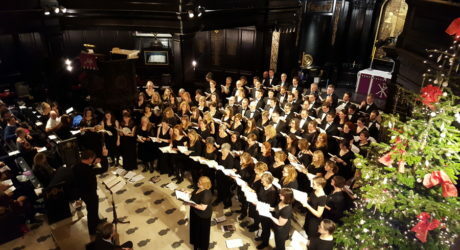 O magnum mysterium will be performed by EC4 Music, conducted by Tim Crosley, on the 5th of December at St Clement Danes and on the 11th of December at St Pancras Church, London, UK. 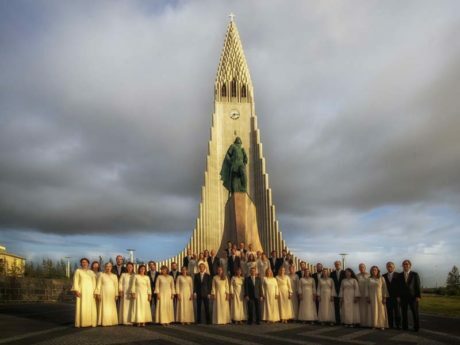 Magnificat will be performed by The Motet Choir of Hallgrímskirkja, conducted by Hörður Áskelsson, on the 2nd and 4th of December at Hallgrímskirkja, Reykjavík, Iceland. 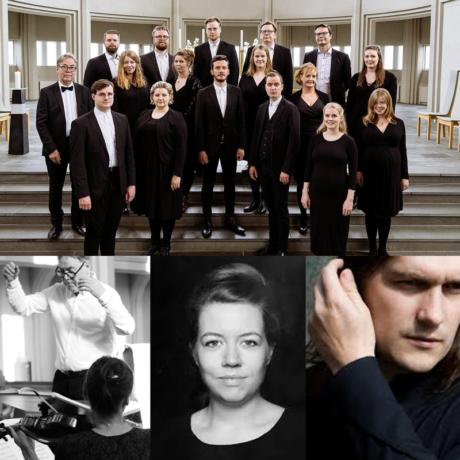 Nunc dimittis will be performed by Tromsø Akademiske Kvinnekor, conducted by Bjarne Isaksen, on the 27th of October at Arctic Cathedral, Tromsø, Norway. 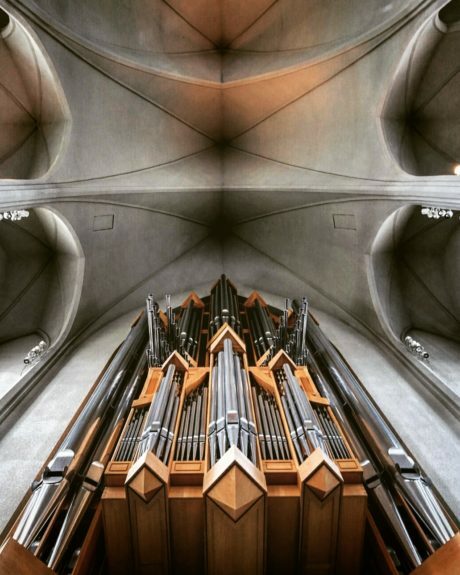 Heaven´s maker, a piece for Organ, based on Þorkell Sigurbjörnsson´s Heyr himna smiður, will be premiered by James D. Hicks on the 29th of September at Hallgrímskirkja, Reykjavík, Iceland. 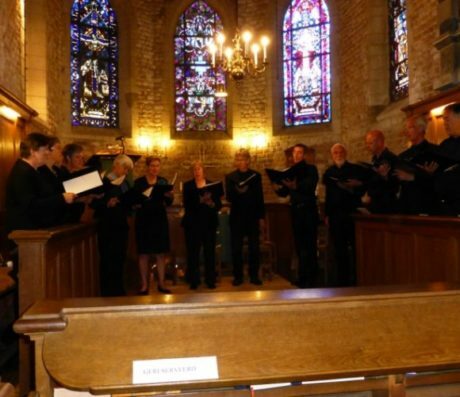 Nunc dimittis will be performed by Vocaal Ensemble PANiek, on the 16th of June, at Sint-Bartholomaeuskerk in Beek, Holland.